Funny – this photo is of a curly haired little girl – why is my hair as straight as a string? 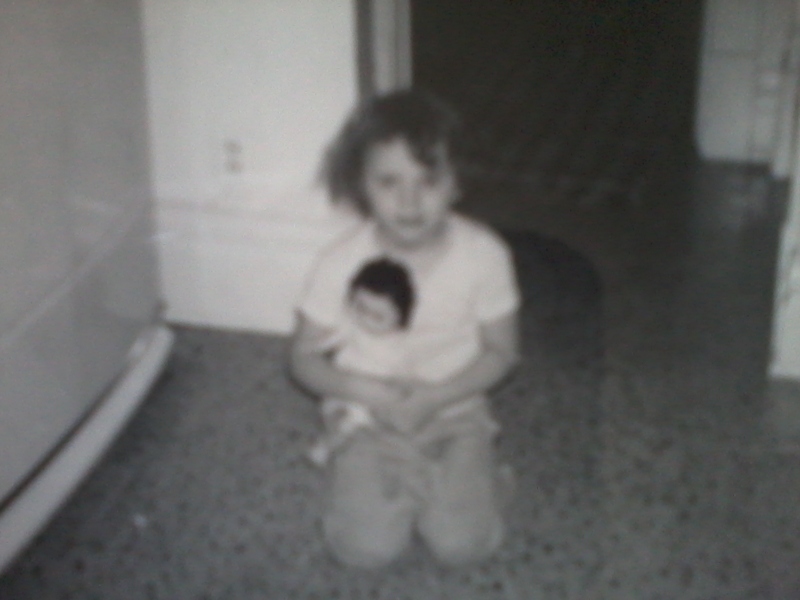 Here I am with my baby doll. I sure loved my baby dolls. Now, as I look back, I can tell you that all those baby doll hugs were a sad replacement for the hugs I needed and did not receive. At this age, I enjoyed twirling and twirling in my bedroom until I was dizzy. I thought that room was so BIG. I’ve been back there since, and it is in reality, not very large at all. The back yard was BIG as well, a great place to play in the snow. As an adult I can walk across that yard in ten giant steps, or twenty baby steps. This photo is before the abuse began. Well really, it began before this, but my four year old mind did not understand the concept of emotional abandonment. Reconnecting with this little one was not an easy task, but we have reconciled, and now journey into the future together. No longer are we estranged from each other, but we gain strength and understanding of all that has taken place. I thank my Jesus for leading me to Bonnie’s writings and for allowing me to retrieve that which was lost. Today, along with being able to help people understand who they are in Christ, I also seem to have a “Ministry of Hugs”. I’m told my hugs give strength – I will tell you here and now that the strength that is received comes from Christ alone. He is my fortress and my strength, and I love to share what He has restored to me. ← Is Receiving Ever Easy?